It’s now official: the Samsung Galaxy S9 and S9 Plus will be presented at the MWC in Barcelona. In spite of everything, the leaks keep on coming one after the other, with different rumors, blurred photos and information of all kinds. So why not just cut to the chase and download the official wallpapers from the two new Samsung models? We’ll have to wait another month to see the Galaxy S9 and S9 Plus in person, even if by now we already know almost everything about the two smartphones. We know them so well that we even have their official backgrounds at our disposal, which were officially made public by Evan Blass. You read that correctly: even though the launch of the two smartphones isn’t right around the corner, the official wallpapers can be downloaded in high resolution. Open the link that you’ll find a little further down in the tweet; the image will open in real size. If you’re using a PC, click with the right mouse button and select Save As. If you’re using your smartphone, just hold your finger down for a few moments on the image itself and then select Download Image. If the image is saved in a strange format called .jpg_orig, don't be afraid. Simply rename the file by changing the extension to .jpg (delete the _orig part) and that’s it! 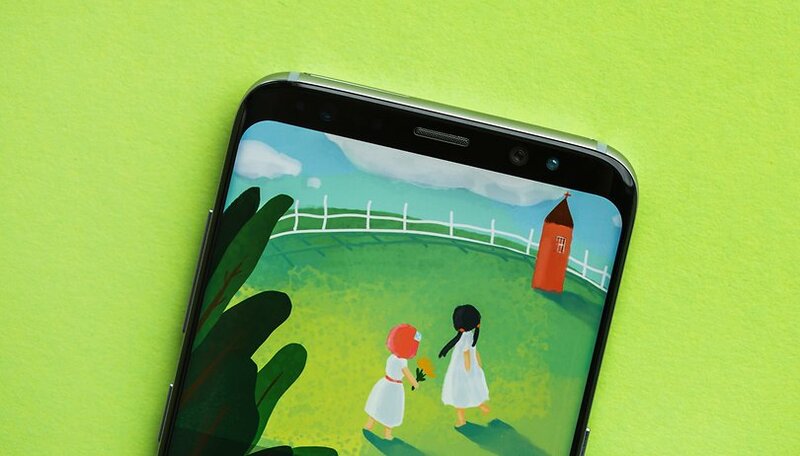 The background of the Samsung Galaxy S9 will make your phone’s display beautiful. Now you're ready to preview the official Samsung Galaxy S9 background on your smartphone! Hello, what is the wallpaper used in the header of the article? It's just a background, if I put it on the phone it will not go faster. And my phone does not even look like any Samsung model, it would be totally futile to put those backgrounds.